Voted Best Brunch in Victoria in 2017 and honoured as a Finalist in the Fine Dining category of the Victoria Times Colonist Readers’ Choice Awards for Best in City 2017. In 2018 we were honoured with further acclaim and voted Best - Brunch, Fine Dining, Restaurant Patio and Happy Hour in Victoria Times Colonist Readers Choice Awards and Top three in The News Groups best of the City awards for our Sunday Brunch and Buffet. Located in a lovingly restored heritage tudor estate, offering farm to table cuisine, extensive wine and beverage selections, and a unique ambiance featuring several indoor and outdoor fireplaces. Nestled in a grove of wild oak trees, and meticulously maintained gardens, Fireside Grill is located only 10 minutes drive from the downtown core, and offers a distinctly Victorian dining experience. The 3 Course Farm to Table Dinner Menu, which changes seasonally, is a local favourite. Local and farm fresh, we offer something for everyone. Each Sunday we provide a buffet brunch starting at 9:30 am a selection of house made specialties. 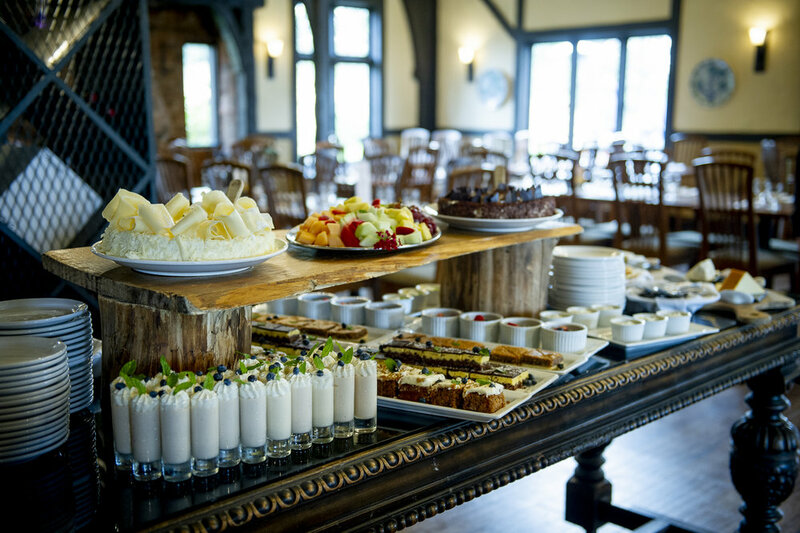 We offer breakfast items, fresh seafood selections, carving station, fresh salads, hot entrées, cheese platters, freshly baked goods, delicious desserts, & brunch favourites. Reservations always appreciated. Prices subject to change without notice. Lovingly nestled within a grove of wild oak trees, the Fireside Grill offers four exquisite locations to host your special event.